A real-life mob mistress has ordered a hit on an Antoine Fuqua-Nicholas Pileggi crime drama that's being developed at Morgan Creek, according to THR. Linda Schiro, former girlfriend of late Colombo crime family capo Gregory "The Grim Reaper" Scarpa, filed a lawsuit Tuesday against Morgan Creek seeking to stop the release of the planned movie and also suing for punitive damages. Schiro and daughter "Little Linda" Schiro claim they gave interviews to mob dramatist Pileggi ("Casino," "Goodfellas") and "Training Day' director Fuqua, who is known for spending time with real-life cops and criminals as part of his research. In exchange, they were promised $150,000 for their life rights and gigs as consultants on the pic, the suit says. The real-life story the movie seeks to tell is a colorful one. Scarpa allegedly carried out dozens of hits over three decades on behalf of Colombo family honcho Junior Persico before dying in prison in 1994. He also allegedly had a relationship with a corrupt FBI agent named Lindley DeVecchio. Schiro was Scarpa's longtime mistress who testified on behalf of the government against DeVecchio in a case that eventually was dropped. The backstory behind the project is proving to be equally dramatic, with reps for one side saying there clearly was a deal in place and the other side saying it hasn't even seen the lawsuit. Schiro attorney Perry Wander said the Schiros provided filmmakers with key information and in return were promised money by the production company. "Morgan Creek made said promises with the intent to defraud plaintiffs, and for the purpose of inducing plaintiffs to rely upon said promises by providing interviews with the producers, screenwriter and director," the suit alleges. 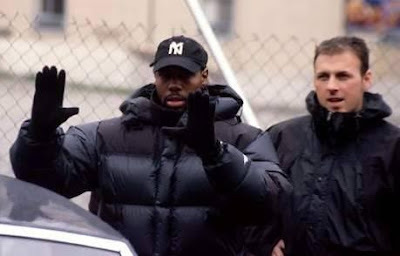 Added Wander in an interview Wednesday, "My client has sat down with Antoine Fuqua, Nick Pileggi and (producer) Irwin Winkler two or three times and had dozens of phone conversations with them." Morgan Creek said it has not been served with court papers and plans to move forward with the project. "The suit isn't slowing down the process," said a rep for the banner. Fuqua and Pileggi are continuing to meet, according to those familiar with the project, with a decision on a green light likely to come shortly after the cast is set. The stakes might yet be upped further. An amended lawsuit set to be filed Thursday in Los Angeles claims that Nicolas Cage has an $11 million pay-or-play deal with Morgan Creek to star as Scarpa and Ethan Hawke is attached to play an FBI agent. But the banner said it has not set any cast. In addition to offering a potential showdown between a mob mistress and a Hollywood banner, the lawsuit illustrates the problems with fact-based dramas, which offer the shock-value appeal of a true story but can subject a studio to disgruntled real-life characters. Some police officers depicted in Universal's "American Gangster" sued the studio for defamation of character. This year, Morgan Creek faced a lawsuit from Tupac Shakur's mother, Afeni Shakur, over a biopic about the slain rapper. A further wrinkle in Schiro's case comes with "Mafia Son," a book about Scarpa's jailed son published in May by author Sandra Harmon, who corresponded with the mobster during a period of several years. In the amended complaint to be filed Thursday, Harmon and publisher St. Martin's Press are alleged to have improperly included information in their book that the Schiros supplied under a deal that expired in 2001. Morgan Creek could argue that this lawsuit is unrelated to the suit filed against it; though producers often acquire books for legal and research reasons, Morgan Creek said it has not optioned Harmon's tome.